﻿ Rome vacation rentals - Rome center apartment rental. "With a passion to Welcome your family alongside the enchantment of Tradition"
We are a Family that rents our own apartments in Rome's Historical center. Our apartments will place you within easy walking distance of Rome's most incredible sites. Whether visiting Rome on business or holiday, our properties will allow you to visit the eternal city with the comfort of your own furnished residence. Rates are free of any agency commission or service fee because we own all the properties we rent. We rent fully furnished properties. We do not provide breakfast, daily-weekly maid service, or any additional extra service. All our apartments are located inside Rome's Old Historical district. All maior sites are located within easy walking distance. If you need any further details please do not hesitate to contact us. Best Wishes and ..... Arrivederci a Roma !! The apartment "Trastevere Penthouse A" was recently completely restored with very high quality furnishings/materials. A/C (new inverter machines) and independent heating in each room. A/C (new inverter machine) and independent heating. Roman Forum "Attic with Terrace"
Terrace is provided with table/chairs, gas BBQ with an extra side burner for standard cooking/pots, recliner arm chair, Wifi and lots of plants and flowers. Rome vacation rental - Rome center apartment rental. - Apartments for rent in Rome. Short term apartment rentals in Rome - Rome historic centre apartments accommodation. - Rome italy apartment rental.Apartments booking in Rome. - Luxury apartment rentals in Rome. - Weekly apartment rentals in Rome, Italy. - Vacation rentals in Rome. Central Rome vacation Rental. - Holiday apartment rentals in Rome. - Self catering vacation apartments in Rome centre. - Vacation rentals in central Rome. - Weekly Apartment rentals in Rome centre. 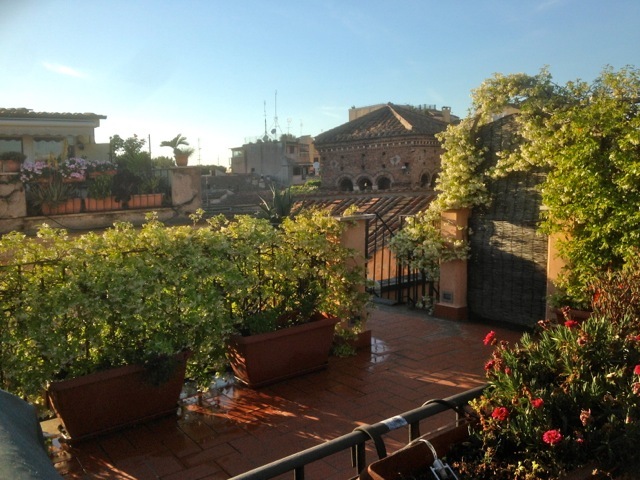 - Short term Vacation rentals in central Rome -Weekly apartment rentals in Trastevere. 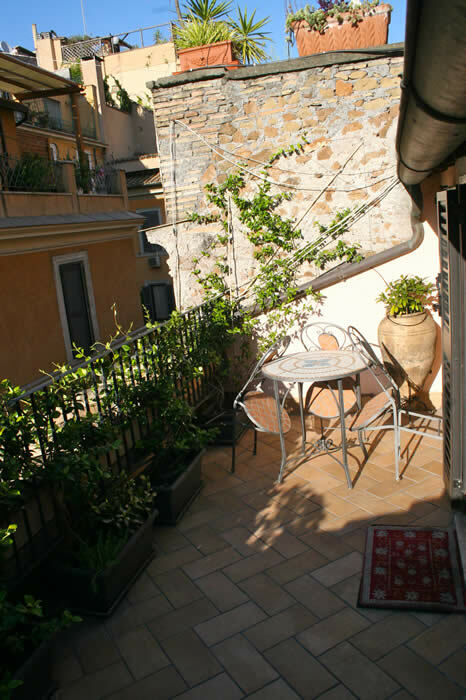 - Holiday rental in Rome, Trastevere. - Luxury apartment rental in Trastevere. Short term apartments rentals in Rome. 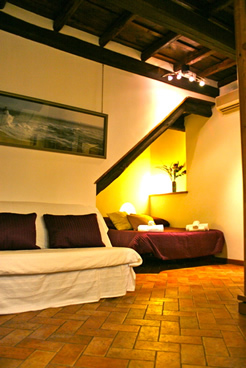 - Central Rome accommodation apartments. - Accommodation in Rome Historical center, campo de' Fiori.- Rome Spanish Steps Apartment Rentals. - Last minute apartment rentals in Rome, cheap apartment rentals in Rome. Rerieleiligheter, terrasse, historiske sentrum, Rooma, loma-asunto, terassi, Vanhakaupunki, Rom, Ferienwohnung, Terrasse , Altstadt, innenstadt. Rome, frí íbúð , frí leiga, verönd. Roma , leie leilighet , terrasse, historiske sentrum.